ACCESS MY SCHOOL CONNECT ANYTIME, ANYWHERE! Simply download the app for your iPhone or Android to ensure you have access to our services in one location, across all your devices. All your school purchases are just a click away with the handy new My School Connect smartphone app! All your school purchases on the My School Connect smartphone app! 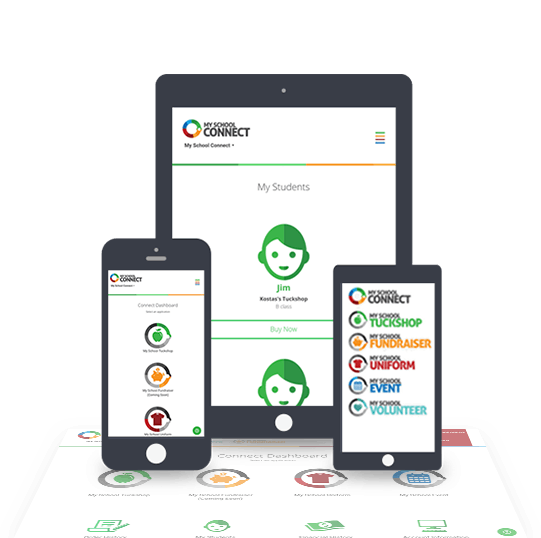 The My School Connect app boasts all the great features that are available from your computer. 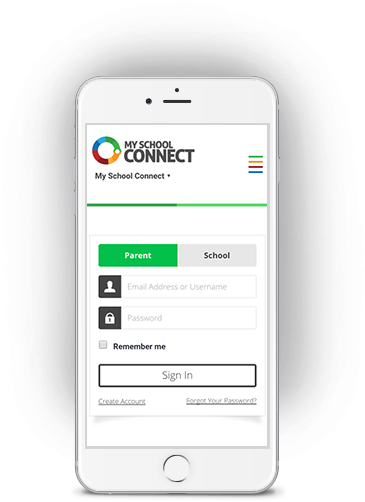 Forget about opening browsers and typing in URLS on your phone – the My School Connect app keeps you logged in and ready to make purchases quickly and easily. MSC is aimed to make it easier for parents and school staff, to take the everyday duties, such as ordering lunches from the tuckshop, purchasing school uniforms, and fundraising by taking it online, via a simple and easy to use system. This alleviates stress on school staff, handling cash and sorting through multiple hand-written orders and simple for parents to use the app to make orders instantly. the tuckshop, uniform store, events, fundraising and volunteering!